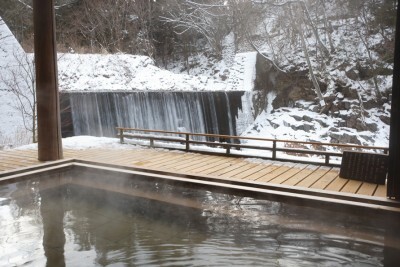 Kayabuki no Sato Yakushi Onsen have open-air baths with fall view. It is very atmospheric with its surrounding natural environment in the bosom of a mountain and the old folk house-style inns built with traditional construction methods. 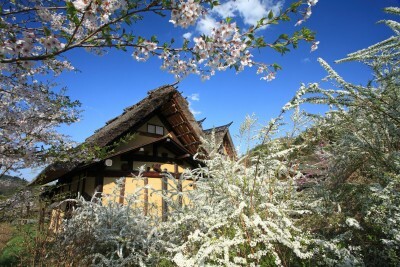 Sakura and ryokan's traditional houses.